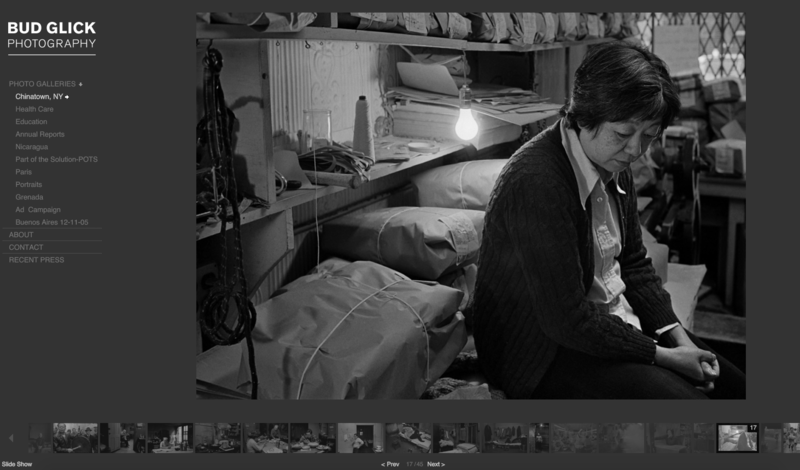 ← Chinese Laundries: What’s in A Name? Photographer Bud Glick included several excellent photos from inside a Chinese laundry (#14-#17) in his online photo gallery of New York Chinatown taken about 30 years ago. This photo of a woman, possibly the laundryman’s wife, says more than words can tell about her long and tiring days in the laundry. An excellent interview of Bud Glick discloses how he approaches the people in his photographs and shows his sensitivity to their feelings. He shares a remarkable anecdote in which a Chinese man, moved after viewing some of Glick’s photos, decided to send Glick a photo of himself when he was a young boy, not knowing that it had been taken by Bud Glick some 30 years earlier. The original negative had been destroyed in a fire, so Glick no longer had this photo until this providential contact occurred.